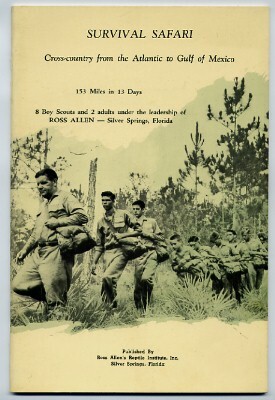 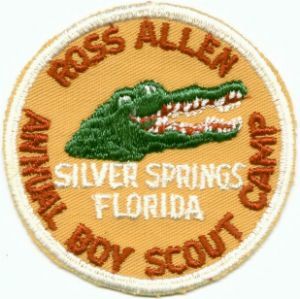 Ross Allen is best known for the Ross Allen Institute which he operated at Silver Springs, Florida from 1929 to 1969. 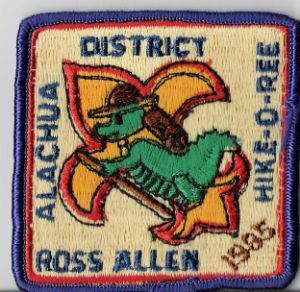 The Institute was known for reptile demonstrations including alligator wrestling and rattlesnake milking. 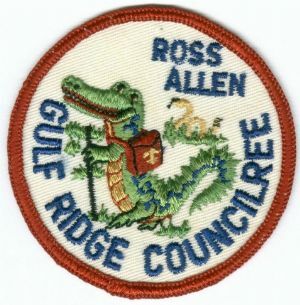 In later years it became recognized for it’s research on Florida reptiles. 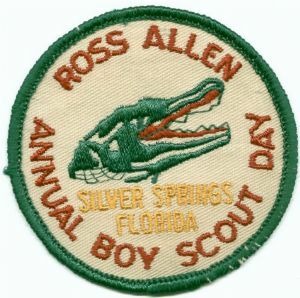 As a youth Ross Allen earned the Eagle rank in 1927. 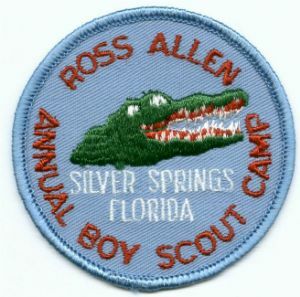 He remained active with Boy Scouts at his Institute as well as participating in camporees in North Florida Council. 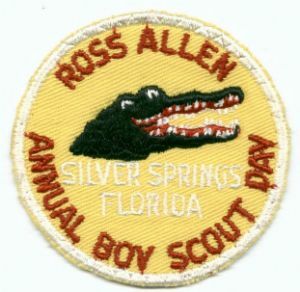 Ross Allen died in 1981 at the age of 73. 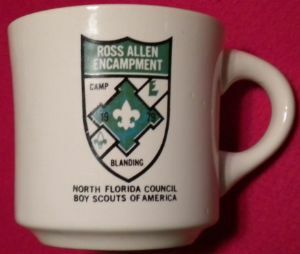 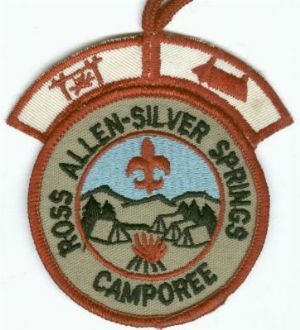 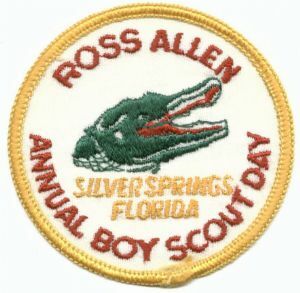 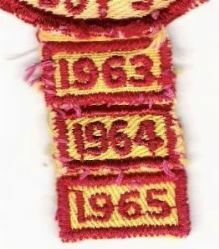 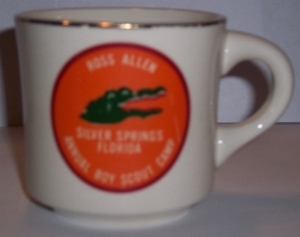 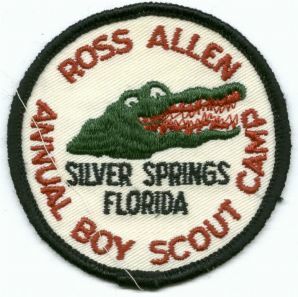 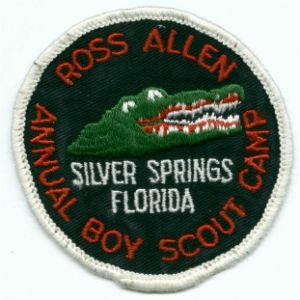 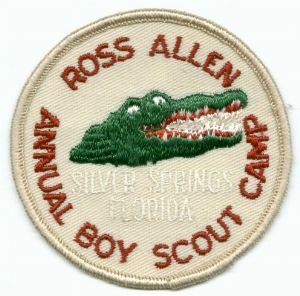 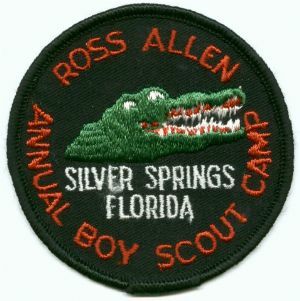 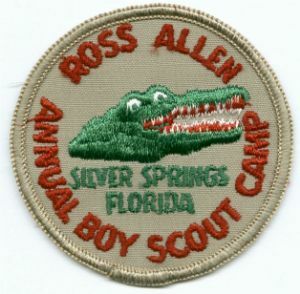 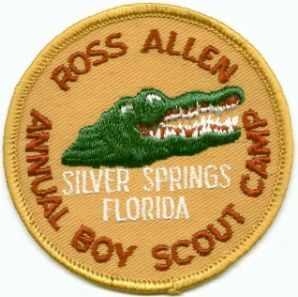 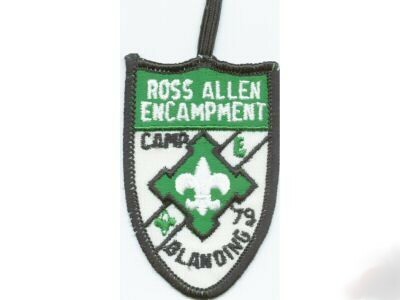 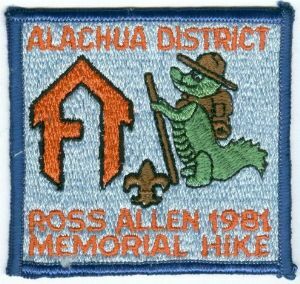 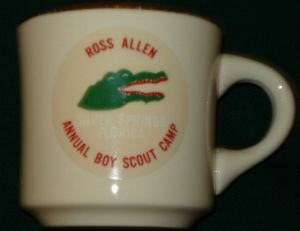 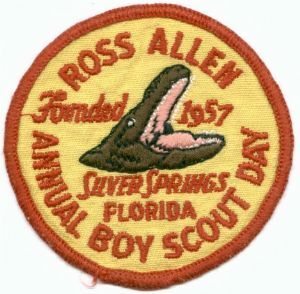 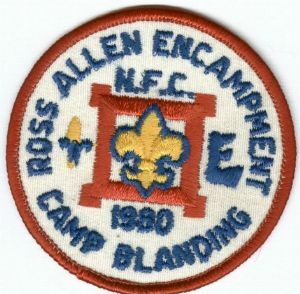 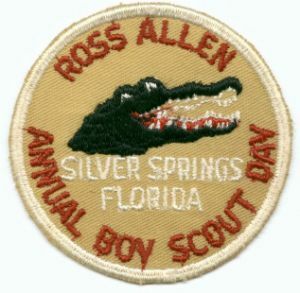 If you have reached the bottom of this web page there is a good chance you are part of a small but growing group of BSA memorabilia collectors interested in Ross Allen patches and related items. 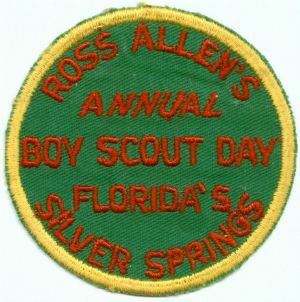 If you can contribute any information I would appreciate it and will add it to the web page. 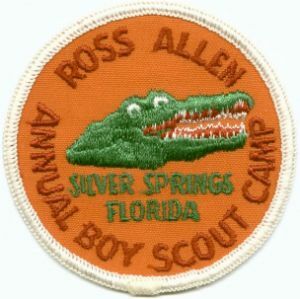 I would also like to know who you are and will let you know about any new information.